HomeMusic FeatureVisiting the Country Music Hall of Fame in Nashville, Tennessee, U.S.A. 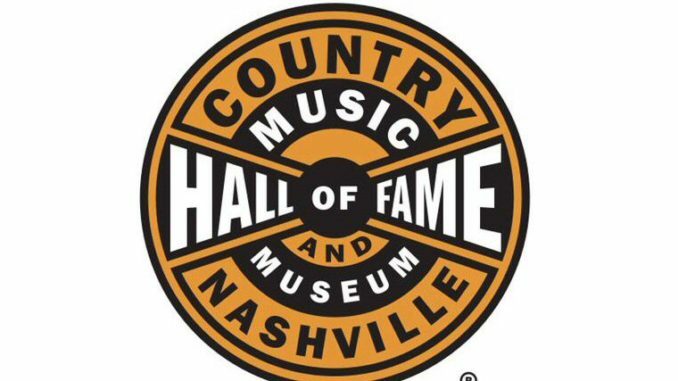 The city of Nashville has a rich country music history and it is also home to the Country Music Hall of Fame (CMHOF) located at 222 5th Ave., South. 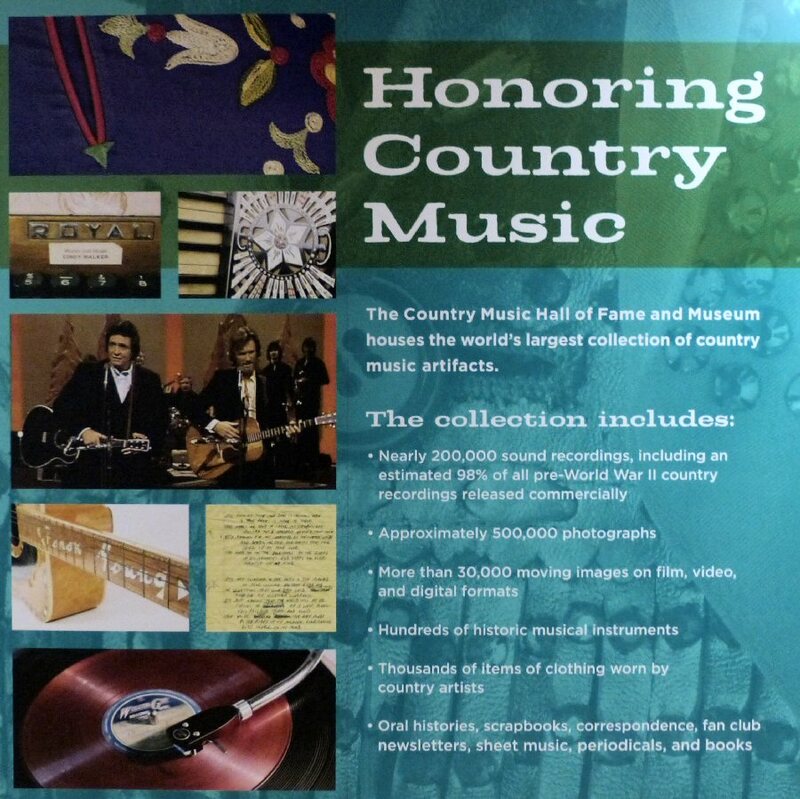 The Country Music Hall of Fame’s goal is to identify and preserve the evolving history and traditions of country music. At the CMHOF – so much to do, so much to see! Their assortment of over 2 million artifacts is regularly rotated into their permanent collection along with special exhibits. The museum is open to the public daily from 9-5. It is recommended that one allocates 2-3 hours to fully experience their expansive self-guided tour. In fact, one could spend a full day at the Country Music Hall of Fame as their collection of information and items is impressive. The tour which starts on the third floor is well organized beginning with the start of country music moving all the way into contemporary times. The Taylor Swift Education Center is one of the first things you will encounter. In this room are mementos from Taylor’s 2013 Red Tour and her sentiment on the wall that at 12 she learned her 1st three chords, wrote a song, and “it changed my life”. Lots of famous guitars on display including the original Les Paul and a Sears model. “The Alan Jackson: 25 Years of Keepin’ It Country” which is open through June 2015 has cases of artifacts, awards and clothes from the man known for melding traditional honky-tonk with modern country. “The Kenny Rogers: Through The Years” was also another rotating exhibit of commentary, photos and more. Here we learned that Kenny was in a Byrds-like band from 1967-1975. The film clips of Rogers in hippie garb were hilarious in a good way. “Country music always has been about real people and real lives.” This quote set the tone for the timeline that starts with folk music dating back to the 1800’s when people crafted homemade stringed instruments to strum as they told their stories of heartache, life and love. Fast forward to the early 1920’s to country barn dances and the Grand Ole Opry radio show (1925) that reached a wide audience well beyond the city of Nashville. In time, jazz, pop and later rock wove their influences into country music. 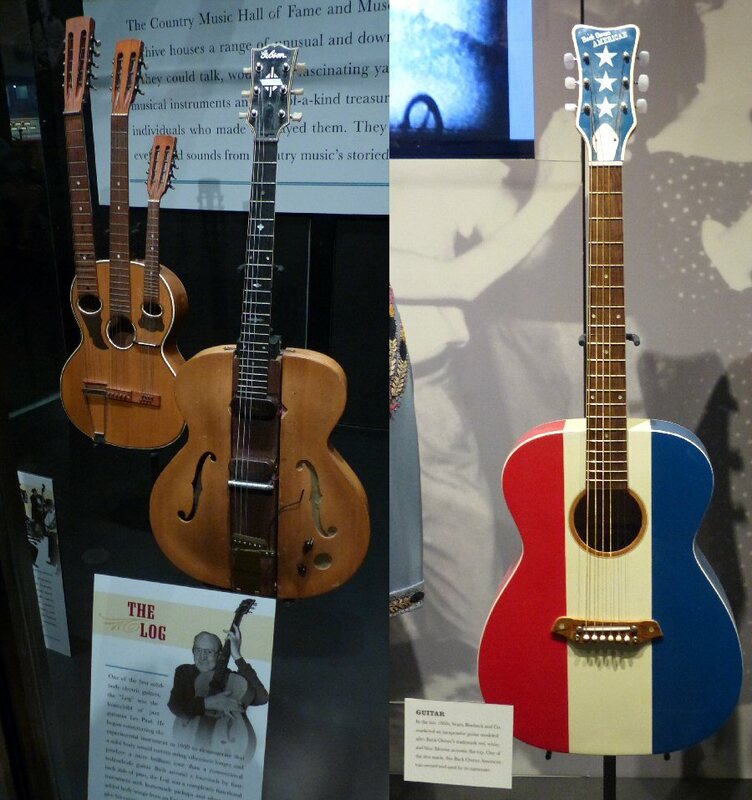 The CMHOF also showcases many of the early pioneers of the genre such as Roy Acuff, Hank Williams along with bluegrass artists such as Bill Monroe and Earl Scruggs. The timeline continues with The Everly Brothers – the first successful rock act based, recorded and produced in Nashville. Countless legends such as Patsy Cline, Faron Young, Connie Smith, Ray Price and more are memorialized at the Country Music Hall of Fame. A new exhibit looks at the influence of Dylan and Cash on Music City. There are plenty of amazing artifacts to see including Elvis Presley’s “Solid Gold Cadillac” along with his gold piano. Other instruments some dating back to the 1850’s are also on display. The Les Paul “log” – the prototype for the electric guitar is at the CMHOF. Also of note are the wall of gold records that flows to the stairwell to the second floor which is also chock full of cases of awards, clothes, information, instruments and personal items from an array of artists included a large display following Luke Bryan from childhood to country music star. 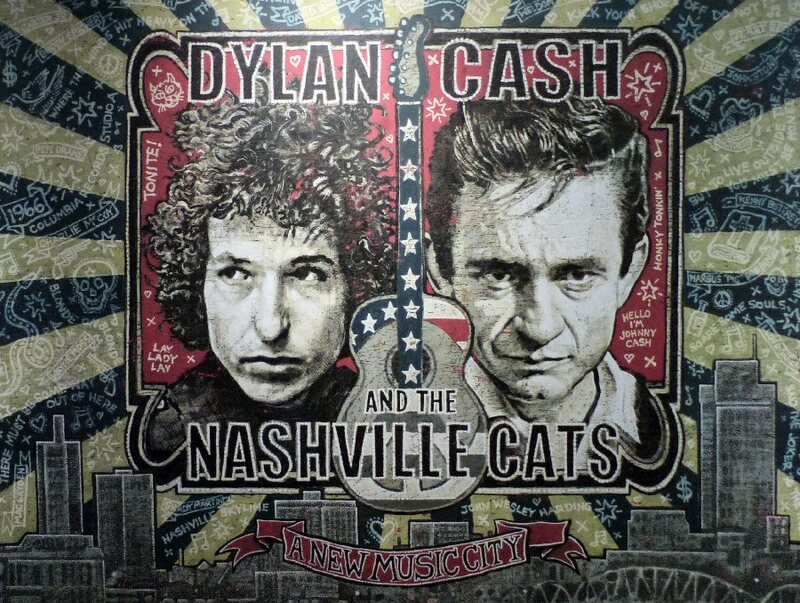 Also on the second level is the “Dylan, Cash, and The Nashville Cats: A New Music City” exhibit (opened March 2015). Apparently Bob Dylan recorded a number of LPs in Nashville from 1966-1969,which encouraged other “non-country” acts to consider the “conservative” city a good place to produce their albums. Johnny Cash also crossed cultural boundaries when he invited different types of musicians to perform on The Johnny Cash Show, which ran on TV from 1969-1971. As luck would have it we stumbled upon a 1970 clip of Cash’s variety show to see Johnny, Carl Perkins and Eric Clapton jamming out on “Matchbox”. This area also had lots of displays dedicated to a variety of lead and backing musicians. Many of the booths had buttons to play the music that corresponded to the artists. Depending on your interest and time one could spend a few hours here just listening to clips from the CMHOF’s comprehensive archive of recordings. 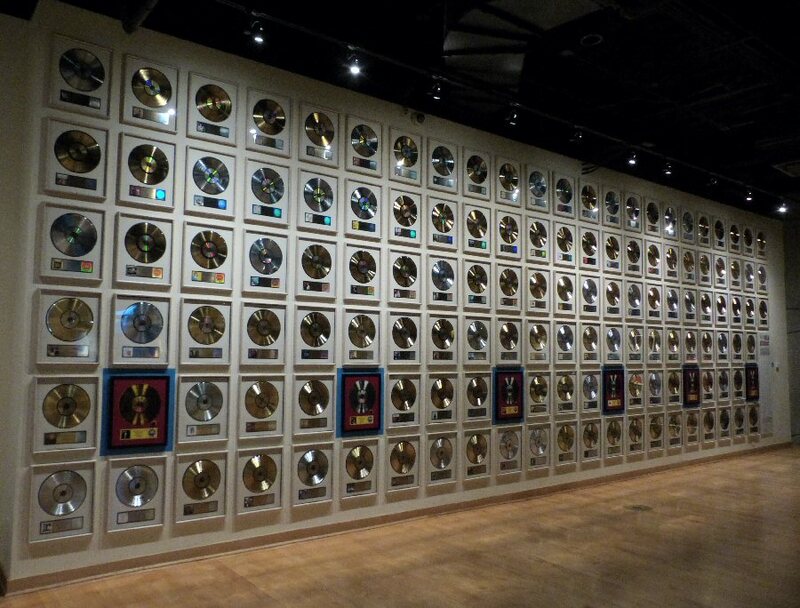 Here’s one of several interactive walls of Gold & Platinum records. The Rotunda is a special space that honors each Country Hall of Fame member starting with first year inductee Jimmie Rogers (1961) aka “The Father of Country Music” to the most current members including Ronnie Milsap (2014). In a round room everyone is recognized as an equal. We learned that election to the County Music Hall of Fame is the prerogative of an anonymous panel of industry leaders chosen by the CMA. It is the genre’s highest honor that recognizes significant contributions to the advancement of country music. The word contribution is key as the inductee does not necessarily have to be a “country artist.” A fine example is Elvis (1998) aka “The King of Rock and Roll” was recognized for the country and gospel records that he made. The Country Music Hall of Fame is on many “must see lists” for good reason. The museum has an extensive collection that spans the history of the genre from its earliest days right into the present. The CMHOF is structured well with films, interactive displays and music. Our visit to the CMHOF was educational and entertaining. We would definitely return to this museum as the exhibits change and there is so much to absorb at the CMHOF – right in the heart of Music City. 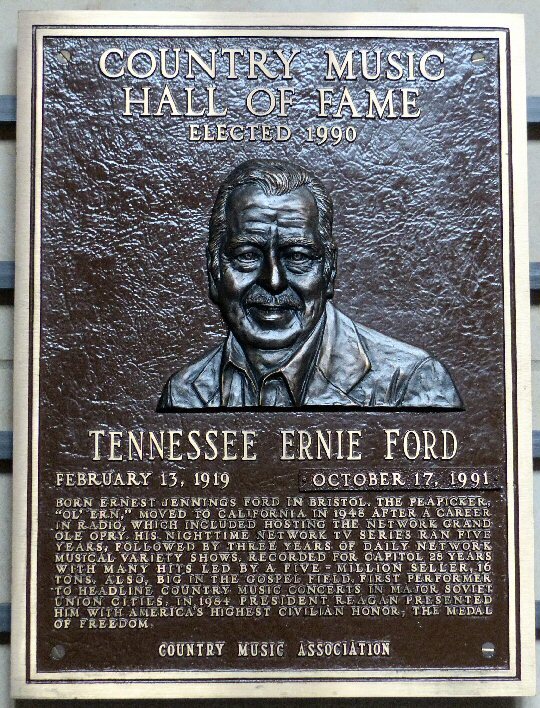 Tennessee Ernie Ford is enshrined in Nashville.